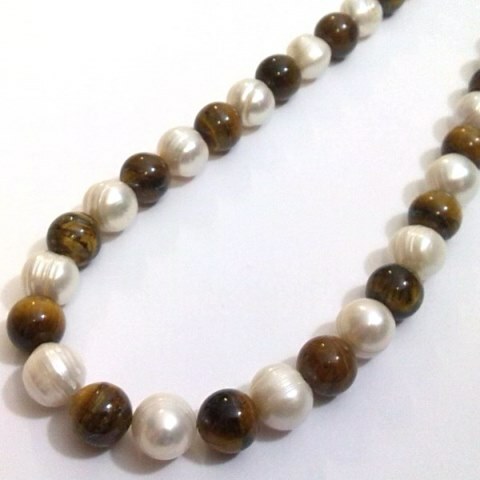 Large 'ringed' white pearls (9- 10 mm) and silky tiger eye beads combine to great effect in this fabulous necklace. 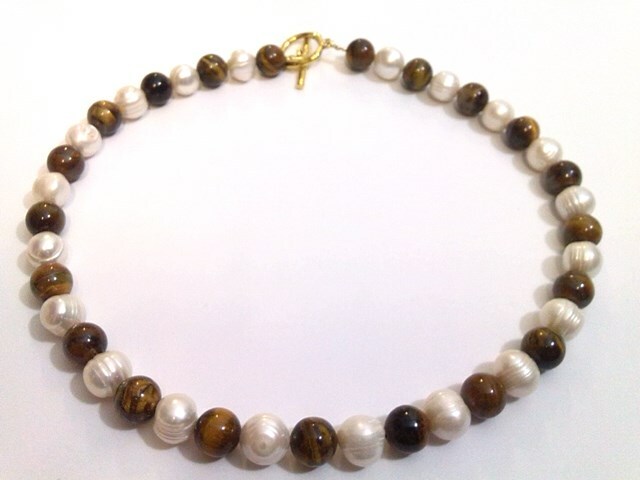 The lustrous sparkling white of the pearls and subtle honey-gold of the stones is a beautiful combination. ​We've found that the GP loop and toggle clasp works very well with this piece or might prefer the 9ct gold on Sterling silver magnetic clasp for an extra payment. Please choose your ideal length, clasp, etc. from the options shown. Your necklace will come in a pretty and practical draw-string silk purse, or a handsome gift box, as you wish.